Mariaglorum presents the latest thrilling adventure in the League of Light series! What starts as a routine investigation quickly takes a deadly turn when you’re kidnapped! A strange group has thrown you into a dangerous game to fight for your life. As you’re pitted against other contestants, can you and your trusted scarecrow companion escape the Game in time? 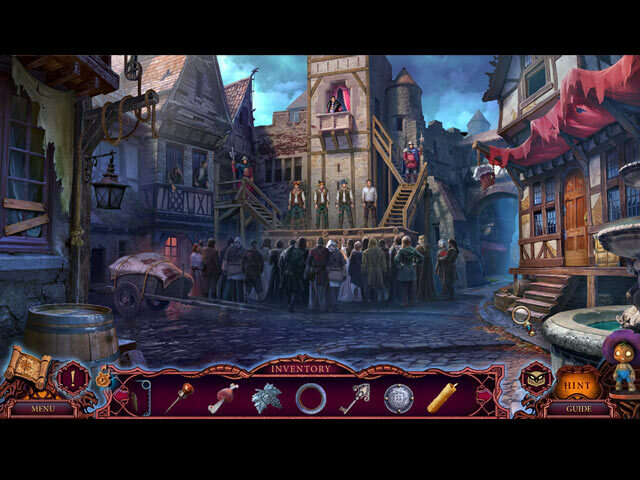 Find out in this riveting Hidden-Object Puzzle adventure! 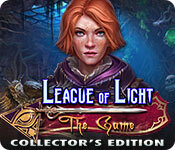 League of Light: The Game Collector's Edition is rated 4.3 out of 5 by 46. Rated 5 out of 5 by lynnminer from A Deadly Game! Wow, did I love playing this game! There are non-stop things to do and I loved every minute of it. I LOVE puzzles and there are plenty of them. I also liked my little helper. He's so cute! (not annoying at all like some of them are) Try this game. I think you'll be glad you did. FUN, FUN, FUN!! Rated 5 out of 5 by Savannah_Smiles from A Bright Spot in the League of Light series The gameplay was fun, puzzles were satisfying, and the storyline was better than most of the games offered now on BFG. Of course, every time I heard the main character speak, I kept expecting Nancy Drew to pop up in the background (as both characters were voiced by the same woman). Overall, an absolute pleasure to play. Just wish more games had this level of quality. Sadly, they are fewer and far between these days. Devs, job well done. Rated 5 out of 5 by pgillenw from What a Great Game! Truly enjoyed the game. The bonus game was all the more entertaining. The game is on my short list for a replay. Enjoy! Rated 5 out of 5 by Marja67 from Really Good Game Love this game. Pretty music. Good graphics. Definite buy. Rated 5 out of 5 by jillaroogirl from Top Notch Really loving this game. Voice overs are great, graphics crisp and clear, lots of puzzles and things to do and not many HOPS which is my fave. I'm still in the demo so not sure if you get to play every investigation, but that would be cool if you could. These days I generally skip the story as all I care about is the game play, which is why it's not 5 points. The challenge is also 4 because the puzzles aren't that hard - which personally I prefer as there is nothing worse than being stuck on a puzzle for ages (luckily there is the skip option). The little scarecrow is cute - have seen him before and he's not overbearing or annoying. He's just 'there.' The game has all the attributes to make me want for a sale or hope I have credits so I can purchase it as am a bit skint. I wish the 'free games' could be built up to earn points so you could use them to get a collectors game (sorry off topic). I also liked that I could choose the voice and person playing - the female voice sounds exactly like Nancy Drew's voice. This for me is a 'must have'. Rated 5 out of 5 by Kluane from Really enjoyed this game I just finished this game and the bonus game. Both were very good. Really good story line and characters. I don't review many games but I really recommend this one. Liked that you could pick your player which is a nice change. I played the whole game in two sittings which I rarely do so this shows how great I thought the game was. Rated 5 out of 5 by Carbino from To Best One Yet I just love League of Light games especially because they let you pick a male voice and how can I forget the little scarecrow buddy to help me out. I hope in the next game we can make him a really little boy. I just love the music and the sights and the voices I like that it shows you on the map if you missed a collectables. Puzzle's not to hard or to easy, it was just right. 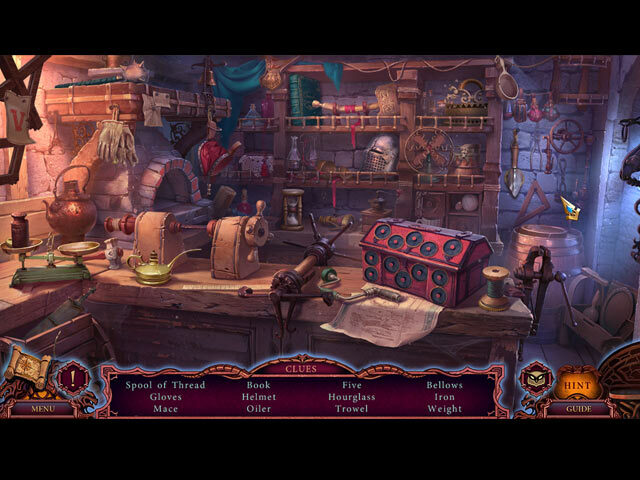 The hidden objects were so much fun. Do not let the bad reviews stop you from playing it. Try it and see just how FUN it really is. Rated 5 out of 5 by saleka123 from A challenging Game...if that's how you like it. This is a great game. 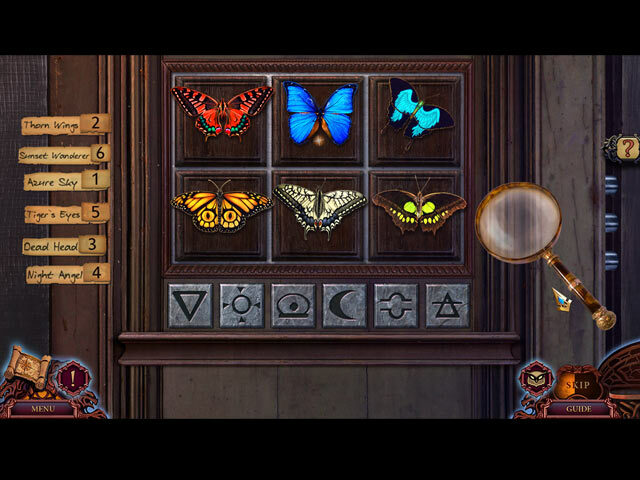 I love that I was able to select the difficulty level of puzzles. I selected medium so certain mini games only gave you an option for a clue. You could not skip it!! Many times i considered changing it to easy(because I could not solve the puzzle) but I powered through. The storyline was good and easy to follow. I actually listened without skipping. I don't want to ruin the story so I won't say much. The Bonus game was also good. I actually wished it was much longer. I can't wait to see what else it coming. Rated 5 out of 5 by dustylee from New & interesting puzzles kept my attention (4.5 stars) The story line was fairly typical, but the puzzles were genuinely interesting & at least one was difficult enough that I had to skip it (which I rarely do). Visuals were attractive and avoided the dark themes & colors that I do not enjoy. So, in my opinion, worth purchasing.